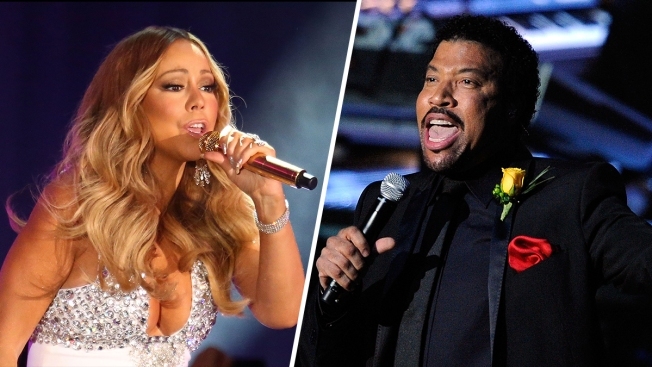 Get ready to party all night long with Lionel Richie and Mariah Carey in South Philadelphia next year. The singers announced Monday they are joining forces for the All The Hits Tour, which kicks off in Baltimore on March 15, 2017. The tour stops at the Wells Fargo Center in Philadelphia on March 18. Both Richie and Carey have a string of hits that remain popular today. Richie's catalog includes "All Night Long (All Night)," "Hello" and "Stuck on You." In addition to Grammy wins, he's won an Oscar and Golden Globe. Carey is only behind the Beatles for most No. 1 songs on Billboard's Hot 100 chart with 18. Her hits include "Vision of Love," "Hero" and "We Belong Together."